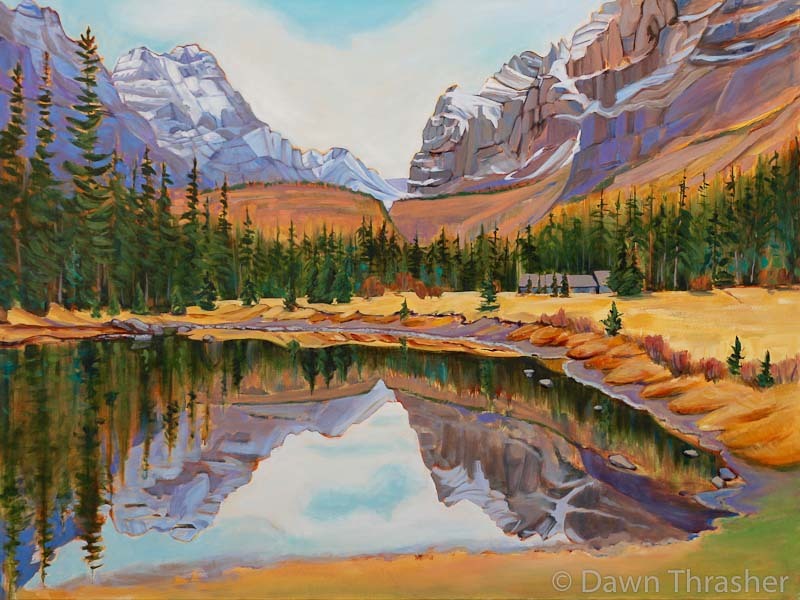 Dawn Thrasher’s paintings speak of her world. They translate her observations and experience. Like language, painting articulates one’s response to life – which moves quickly, through us, around us and beyond us. Dawn’s paintings merge past, present, old and new. Through quiet analysis, painting grounds her, nurturing her creative spirit in the process.